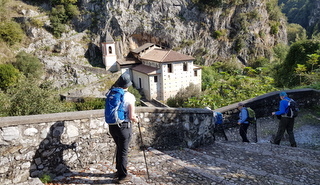 Regarded by many as Italy’s hidden secret, this relatively undiscovered region (known also as Lucania) is one of Italy’s star attractions for outdoor enthusiasts, steeped in ancient traditions and with its own unique culinary heritage. Essentially forming the toe and instep of southern Italy, the region’s dramatic landscape encompasses two short stretches of coastline along the Ionian and Tyrrhenian coasts and soaring peaks, ravines, hill towns and castles in the interior. Greek, Roman, Byzantine, Norman and Spanish invaders have all left their mark on the region thanks to its strategic location linking ancient Rome to the eastern Byzantine empire. However, it was neglected after Italian unification and first came to the public eye following its portrayal by Carlo Levi in Christ Stopped at Eboli, written after his exile by the Fascist regime to Aliano. The region’s National Parks and nature reserves offer superb hiking and outdoor activities. The Pollino National Park is Italy’s largest, bridging the Basilicata and Calabria regions, and home to snow-capped peaks and ancient forests. The smaller Gallipoli Cognato National Park features the atmospheric villages and dramatic scenery of Castelmezzano and Pietrapertosa, set in the Lucanian Dolomites, and connected by the spectacular Flight of the Angel zip wire. Coastlines vary from the wide sandy beaches on the Ionian coast to the pretty pocket-sized beaches around the chic town of Maratea on the Tyrrhenian coast. Slightly off the tourist trail and boasting crystal clear water, the beaches around Maratea are excellent for snorkelling, diving and boat excursions. 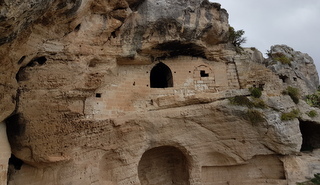 Cultural attractions include the ancient archaeological sites at Policoro and Metaponto; the magnificent Cathedral in Acerenza; and Matera’s sassi neighbourhood, where until relatively recently, people and animals lived side by side in cave dwellings. The area was awarded UNESCO World Heritage status in 1993. 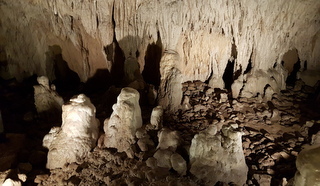 Deep in the heart of the Pollino National Park, the small medieval town of Rotonda is home to several remarkable pre-historic finds, now on display at the Natural and Paleontological Museum. Expect traditional, rustic cuisine, strongly influenced by the region’s history. Inland, local menu-free osterie serve mouth-watering local specialities such as orecchiette pasta, smothered in tomato sauce and spicy salami, and Lucanian sausages seasoned with fennel and peperoncino. Matera’s famous bread is delicious freshly-baked but is also used in local dishes such as cialledda calda. 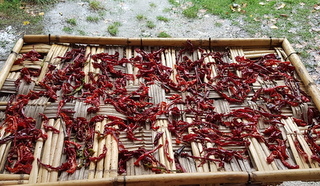 Ubiquitous are the sun-dried Cruschi peppers, crisped in local olive oil and eaten as an aperitif, or coarsly ground to add flavour to pasta or egg dishes. 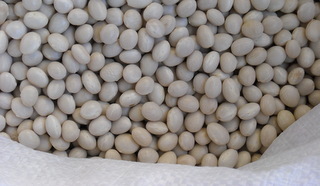 Thanks to Rotonda’s unique soil and micro-climate, the town is famous for two culinary products which both have DOP (Protected Designation of Origin) status. 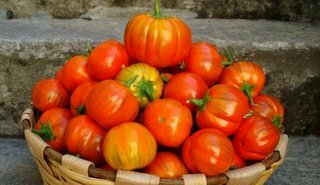 Watch out for the glossy red tomato-mimicking aubergine, the melanzana rossa, and the fagiolo poverello bianco, a delicate-flavoured white bean which, over the years, has fed generations of farmworkers when meat has been scarce. No meal in Italy is complete without a good wine and although the Basilicata may not produce the most wine, its Aglianico del Vulture (DOC) is generally regarded as one of the best red wines of southern Italy. While Potenza is the region’s capital, the two towns of Matera and Maratea steal the show. 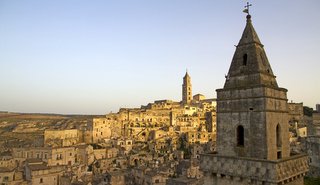 Spend time in Matera exploring the narrow lanes and stairways of the sassi and frescoed caves and rock churches, such as Santa Maria d’Idris. Other highlights include MUSMA, the contemporary sculpture museum and a tour of the city’s fascinating ancient complex of underground cisterns and canals. Meanwhile, Maratea offers coastal views that rival those of the Amalfi Coast, a bustling marina and a string of atmospheric beaches. Looking down over the marina, a 22m high statue of Christ the Redeemer appears to float above the town. In the north of the region, notable towns include Horace’s birthplace, Venosa, where there are relics from Byzantine and Norman eras, and Melfi, home to a castle and cathedral. 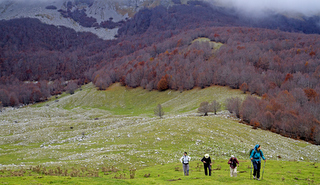 · Get active with a hike, cycle ride or white-water rafting expedition in the Pollino National Park. · Travel between the unique villages of Pietrapertosa to Castelmezzano in the Lucanian Dolomites at 70mph on the daredevil Flight of the Angel; or more leisurely, along an art-installation walk, the Percorse delle Sette Pietre (Walk of the Seven Stones). · Experience a traditional Basilicata festival. The Madonna della Bruna Festival (2 July) features processions of shepherds, floats and fireworks that illuminate the night sky above the sassi of Matera. 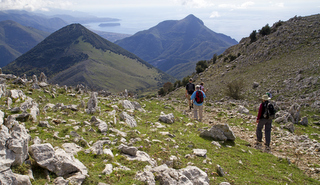 Our Southern Italy tour travels from Maratea to Matera, with some magnificent hiking in the heart of the Pollino National Park. If you wish to take a tour in a neighbouring region, and extend your holiday with a stay in the Basilicata, we recommend The Wilds of Abruzzo tour. The closest airports to the Basilicata are at Bari and Brindisi in Puglia or Naples, or at Lamezia Terme in Calabria. For more information about the Basilicata, visit the Basilicata tourist board.